When building their new Foster City Campus to bring together the Bay Area Illumina community, to attract top talent in a highly competitive marketplace, and to extend the highly collaborative workplace into the lab environment, Illumina worked with expert design partners: BioMed Realty, Perkins + Will, Turner Construction and One Workplace. 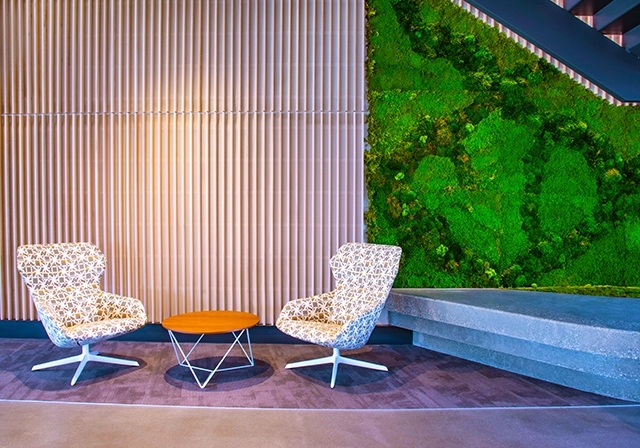 Natural light and outdoor workspaces illuminate the employee work day, and amenities are taken seriously. The interior color palette used to delineate different floors is accented with splashes of living green both inside and outside. The dedicated amenities building houses the Hub, the central heartbeat of the campus, which supports a variety of activities, employee meeting spaces and Fitness Center. 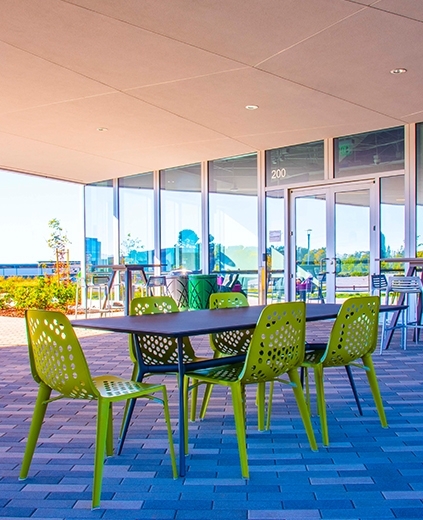 An open dining area, outside patios, and specific furniture selections enable employees to come together for work, for refreshment and wellbeing. We want innovators. Optimists. 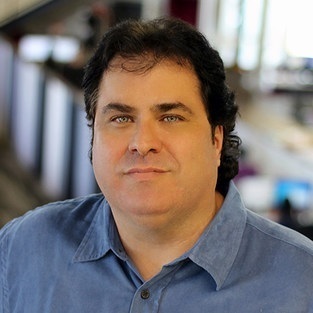 Collaborators. 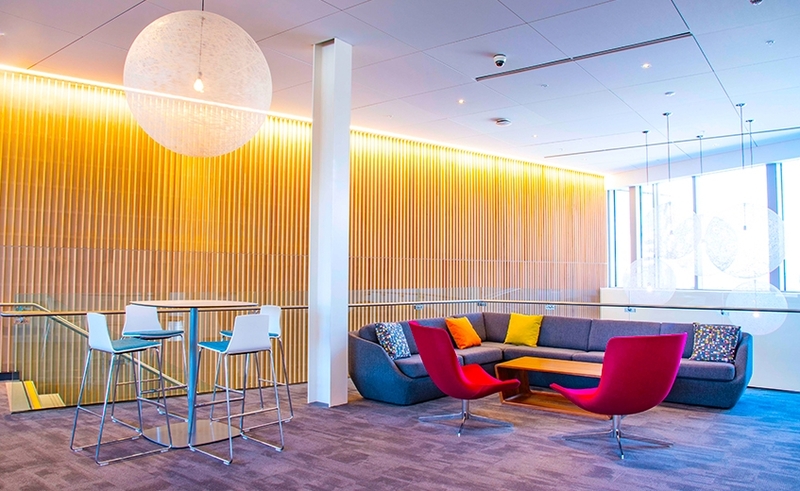 Illumina uses innovative space design to nurture their values. 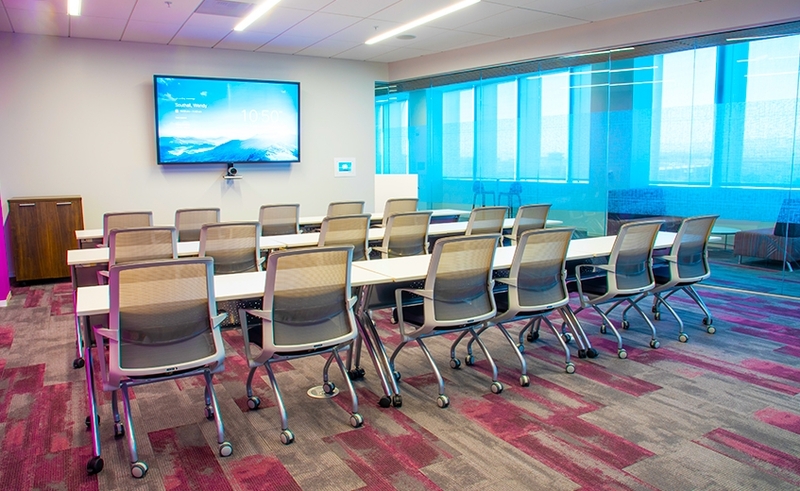 Meeting rooms in different sizes and furniture settings throughout the campus, enable Illumina’s culture of collaboration and innovation. 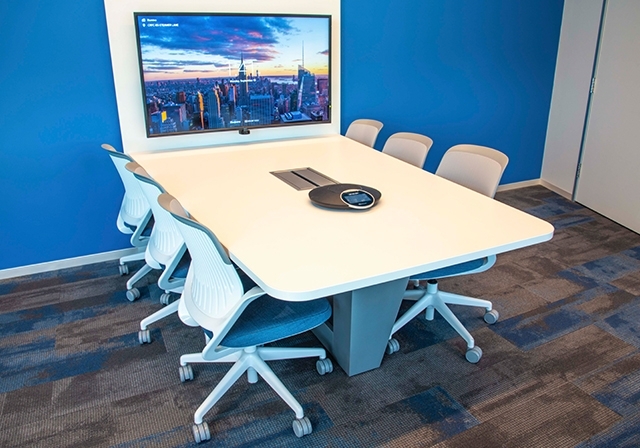 Consistent and robust AV solutions across all Illumina offices globally ensures a simplified ability to connect. 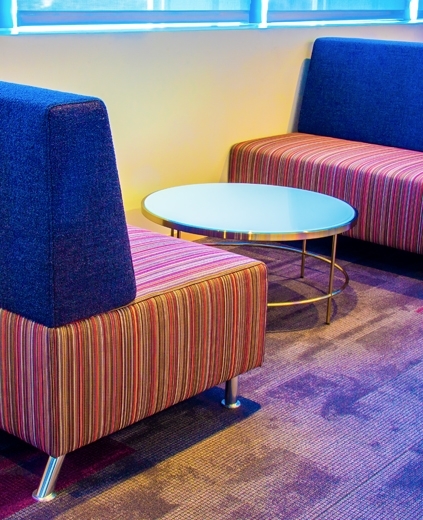 The workplace features “Warm Up” and “Cool Down” spaces outside conference rooms that provide an area to prep and debrief while not disturbing nearby staff at their desks. Illumina’s collaboration has ultimate support.